The Criminal Assets Bureau (CAB) has increased the number of targets on its books by more than 50pc in the past two years. The total has jumped from 600 to 973 this year, with briefings given by CAB officers to joint policing committees around the country credited for a major portion of the increase. A breakdown of the targets shows that 48pc of them are based in Dublin, with the west of the city accounting for 177, a further 110 in the south, 80 in the north, 46 in north central division, 37 in south central and only a dozen in the east. Outside of the capital, Limerick city and county tops the list with 72 targets, followed by 40 each in Meath and Wexford, while Kildare has 38, Louth 33, Tipperary 29, Cavan-Monaghan 25, Kerry and Offaly 22 each, Kilkenny-Carlow 20, Cork city 18 and Galway division 17. CAB officers expect that by the end of 2018, this will have been their busiest ever year in the courts with headline figures for assets seized and tax and social welfare debts collected more than matching the big returns achieved in 2017. The bureau is continuing to increase its drive against the main players in the travelling gangs responsible for the huge surge in burglaries and other rural crimes in the past few years. At present, 78 of those on the target list are suspected of amassing unexplained wealth from involvement in burglaries. 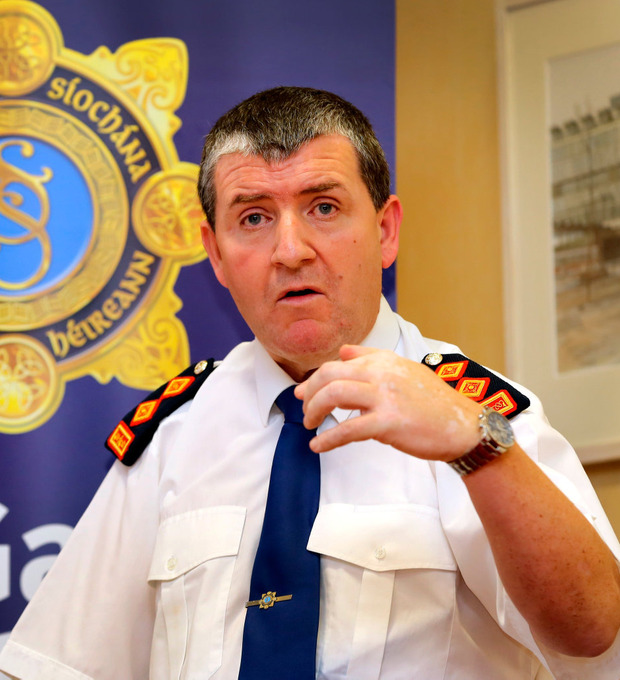 The head of CAB, Det Chief Supt Pat Clavin, told the Irish Independent: "The bureau supports Operation Thor, the Garda anti-burglary initiative, and this is the first goal in its business plan. "We got a massive response from the public after we travelled the country, addressing the joint policing committees and briefing them on the work we do. The figures show that more than half of our targets are located outside Dublin and by spreading our message in every region, we have received a great reaction from people who previously knew very little about the seizure of assets." Det Chief Supt Clavin said people needed to know that if they had information that could be useful, all they had to do was get in touch with CAB or local profilers and "we take it from there. They don't have to go to court to give evidence". During 2018, CAB carried out 34 search operations, ranging from one site, which is rare, to 39 individual searches in a single operation. That operation was aimed at a Dublin gangster and involved raids in Dublin, Meath, Cavan, Monaghan and Limerick, fully stretching the resources of the multi-agency bureau. CAB received 177 cases from local profilers, compared with 101 in 2017 and 66 in 2016. The bureau has now trained a total of 378 profilers around the country, of which 350 are gardaí, an increase of 100 from last year. Robin Schiller and Jonathan Bell Gardai are investigating the theft of four ATMs in Meath, Antrim and Armagh overnight in what is the 18th such incident so far this year.